Learn how to design and knit your own guernsey and jersey garnments. The book includes a whopping 89 black & white photos and 77 pattern charts. Fishermen's knitting - jersey and guernseys - is a very popular and important branch of traditional knitting. 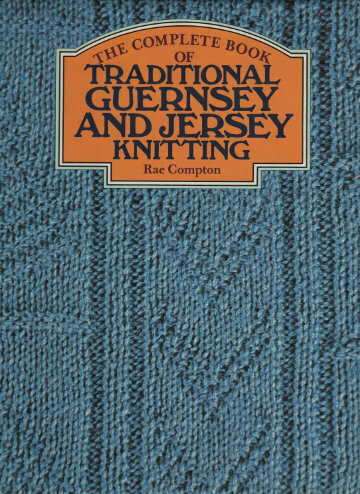 The book traces the origins of this Channel Island garment and its subsequent history, and gives full instructions for designing and knitting your own garnments. Hardback edition with a whopping 89 black & white photos and 77 pattern charts!